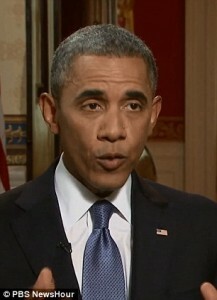 AP reports as the Obama administration tries to prod Congress into backing armed action against Syria, the regime in Damascus is hiding military hardware and shifting troops out of bases into civilian areas. 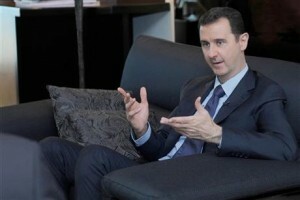 Politically, President Bashar Assad has gone on the offensive, warning in a rare interview with Western media that any military action against Syria could spark a regional war. If the U.S. undertakes missile strikes, Assad’s reaction could have a major effect on the trajectory of Syria’s civil war. Neighboring countries could get dragged into a wider conflict, or it could be back to business as usual for a crisis that has claimed the lives of more than 100,000 people over 2:½ years. One man said two members of the elite Republican Guards broke into an empty house he owns and showed him an official document stating they were authorized to do so because Syria is at war. A woman in another area said soldiers moved into a school next to her house.